Heza Docolida owned by Trinity Appaloosa Farm. 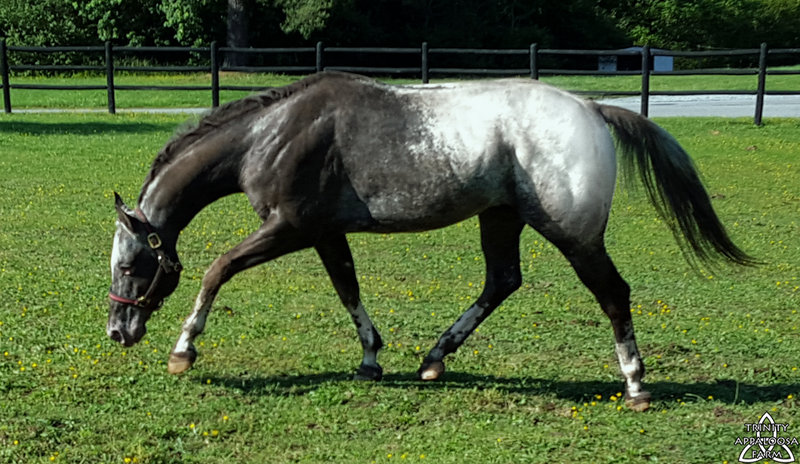 Heza Docolida, 2007 snowcap ApHC stallion is standing to ASHDA Approved Dams and Registered Mares that will make a Main Book Registered foal (mare must be full draft). He has wins in Western Pleasure, Trail and Western Dressage, is currently in training for all around. He comes from very versatile bloodlines with siblings competing and winning in WP, Halter, Saddleseat, HUS, Reining, Jumping, Speed and more! "Ripley" has already sired some excellent foals with stellar conformation and his rock solid, easy going personality. This stallion is so quiet, we regularly have people check him to make sure. 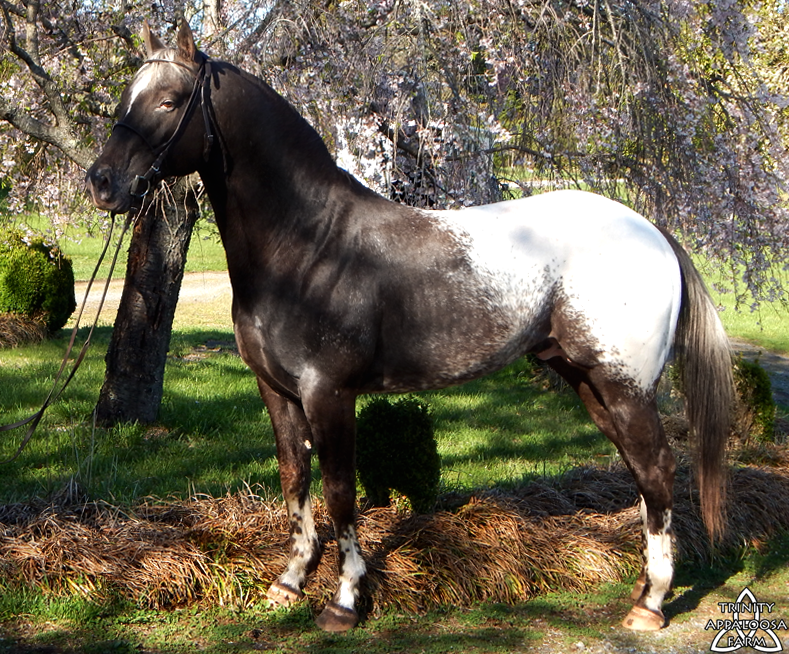 He was the 2015 CRHA Stallion Auction High Seller. 5-panel N/N across the board, tested negative also for Agouti and is Ee for black. 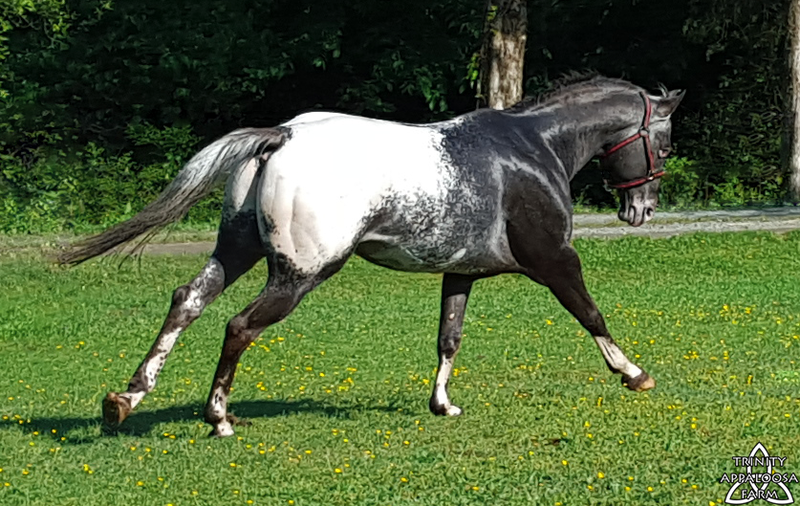 This stallion is super handsome, super correct, genetically clear and backed up with a pedigree full of greats like Doc Olena, Colida, Wapiti, Skip Bright and more. 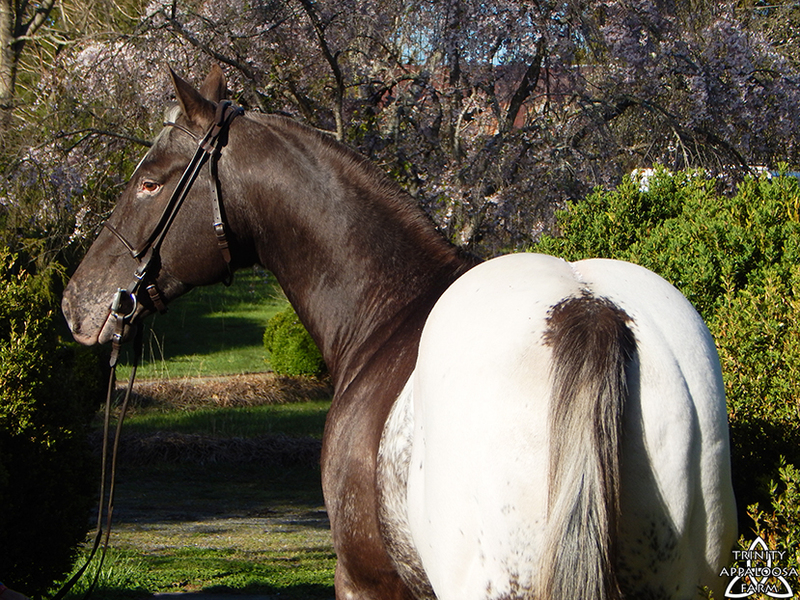 Ripley is homozgyous for LP- or "appaloosa" coloring. When bred to your solid draft mares, he will produce LP characteristics every time! From snowflakes to full shoulder blankets, lighting marks and more, the possibilities are endless! Ripley was also the Spotted Breeds Society's 2016 Summer Show Supreme Champion, as well as Best Stallion.